Greenhouse Plastic That Has A 10 Year UV Warranty! Outstanding Greenhouse Covering! 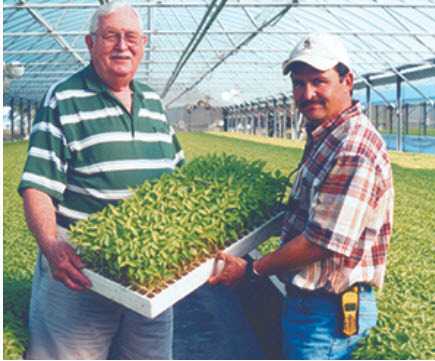 Plants of all types do very well in our SolaWrap™ greenhouses! Some people use 6 mil plastic sheeting that is used as a greenhouse plastic- but it was not designed specifically for that function. 6 mil plastic is all around plastic. 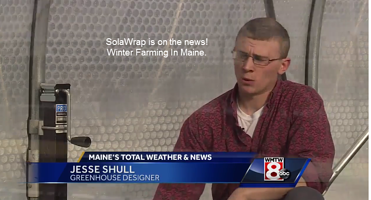 Solawrap is a greenhouse plastic film that was designed specifically for greenhouses. This film cares about the insulating factors, light diffusion and more. ANNOUNCING!!! We now have a horticulturist and a Ph.D. Chemist on staff. If you have any questions, please let us know. We care about your grow! Let's talk about this greenhouse plastic that is turning heads! 30 years and still going for houses in Europe! Are you considering another greenhouse plastic film covering? Ask this question: What was the film originally designed for? Was it a string/scrim reinforced film that is known by another name used in the construction industry? Those films are out there pretending to be greenhouse films. 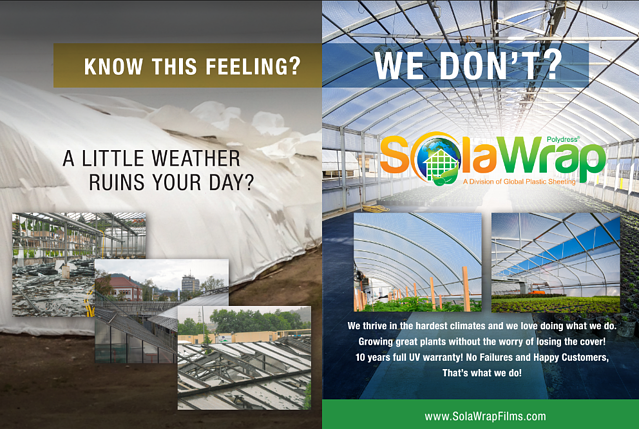 Solawrap has one purpose and that is to be the best greenhouse film in the industry. 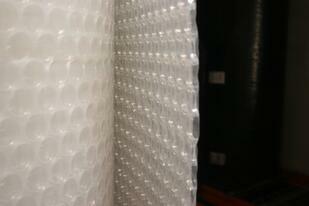 It is not a feeble attempt to repackage an off the shelf film and call it greenhouse plastic. Watch The Roll Up Curtain Installation here for our greenhouse covering. UV light is classified as energy with a wavelength ranging from 10nm to 380nm. Above 380nm energy is known as the visible light spectrum (visible for humans). the required UV for horticulture is called UV-A (315-380nm) because bees can see in that range and use that "light“ for orientation as well. Solawrap transmission rate increases from 0% to over 80% within the range of 340 to 370nm. There is some minor transmission below 380 nm (in the UV-A) range. Visit the installation guide here on the website. 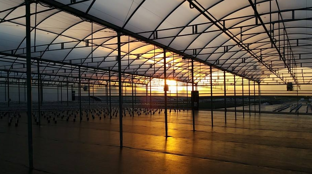 What happens when SolaWrap greenhouse film meets Britespan building Structures? All we can say is WOW! That is will be as strong as you need it to be! The big bad wolf won't be able to huff and puff and blow that greenhouse down! Poly Scrim 14 Greenhouse is a 14 mil, 3 ply laminate that combines 2 layers of U.V. stabilized polyethylene with a highly durable, high strength cord grid. The U.V. additives in this film will protect your greenhouse from the deteriorating damage from the sun. It's these U.V. stabilizing additives that makes this greenhouse plastic sheeting capable of out-performing other clear plastic products that lack this state of the art formulation. The high strength cord that runs through the plastic offers extreme tear resistance. Best of all, this film remains lightweight. Custom fabrication allows for pipe loops, grommets and zippers. 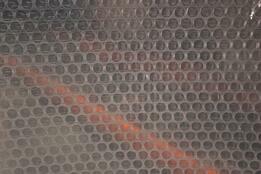 Poly Scrim 14 Greenhouse in clear will transmit 80% diffused light. Poly Scrim 14 Greenhouse in White allows 20% light transmission. Poly Scrim 14 Greenhouse in Black has almost no light transmission. All Poly Scrim Greenhouse products are seam welded to reduce seam leakage. They can be applied over your existing greenhouse structure in just a few minutes.